80/20 Engineering Ltd is a joint venture, privately owned company founded by CAE veterans Sean Horgan and Ake Burman in 2009, and further strengthened through the merger with UpFront Engineering Simulation owned by Michael Clapp in 2010. PumpLinx (a customized tool for the needs of the pump/turbo-machinery development engineer). 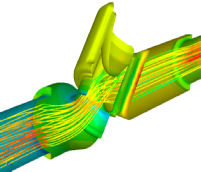 And from the same developers, Simerics-MP (offering fast, accurate and affordable CFD for a wide range of applications found within Flow Control and more general thermal applications). CFturbo. Turbo-machinery design software where users can go from a design point to 3D geometry in a few minutes. SCORG is the software for the design and analysis of Screw Compressors, Pumps and Motors. Discovery SpaceClaim. State-of-the-Art ?3D Direct Modelling? 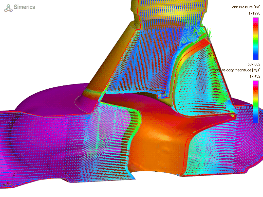 solution, ideal for CAE model clean-up and preparation. 80/20 Engineering provides introductory education, consultancy services and implementation based customer support for all these solutions. 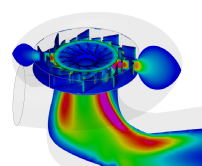 Our Fluid Mechanics group has many proficient and experienced CFD engineers with a thorough understanding of product development. We use a broad spectrum of tools depending on the application area, everything from PumpLinx, Simerics-MP, OpenFOAM, Fluent, CFX and CCM+ to ADSK CFD (CFdesign). 80/20 Engineering is a member of NAFEMS and have key staff on the CFD working Group. Companies looking for the quickest possible product development most often choose the digital prototype process route. We can contribute with our expertise within this area by working alongside your own engineering team, on or off-site. 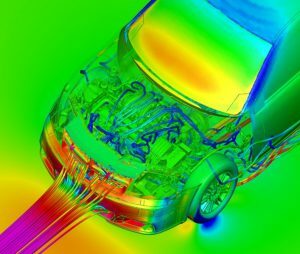 We are experienced with tools such as FEMAP/NX Nastran, ADSK (NEi) Nastran, ANSYS, LS-Dyna and Comsol Multiphysics and help companies with design optimisation, method development, certification and fundamental product design. Our engineers are qualified in civil and mechanical engineering and all project engineers have a minimum of 2 year’s industrial simulation experience.